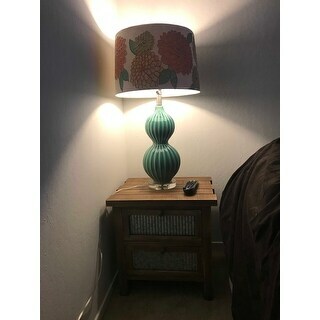 I just moved into a small studio apartment and was in the hunt for a small, rustic style bedside table. I wanted something that would compliment my turquoise green accent color in my grey and white bedroom motif. The steel drawers pick up the colors perfectly and fits great in my small corner bedroom. I was also pleasantly surprised to see that it shipped to me fully assembled!! I’m very pleased with this quaint little nightstand! 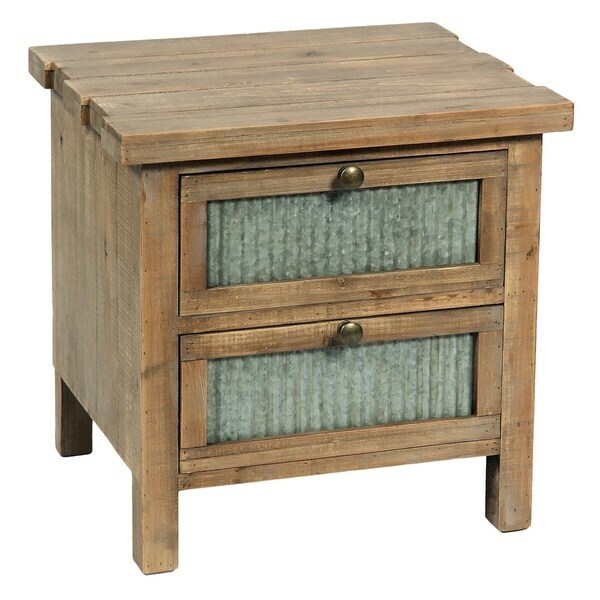 Add a dash of modern and rustic style to your bedroom with the Bradbury 2-drawer nightstand. Made with a warm and natural light stain finish and accented with ornate traditional woodworking and carvings, this nightstand is the perfect place to store your personal items, and it adds a touch of refined and classical style to your living space. The natural brown finish of this tasteful and uniquely-designed nightstand brings a warm and inviting quality to any room, and helps make your house feel like home. Dimensions 16.0 In. X 19.0 In. X 19.0 In.